My theme for 2015 is Discipline. Over the last 10 months I have been trying to build more discipline into my days. I have been reading the Bible in a year again. I have been reading it on my YouVersion each day. I have tried to do it in a different way than before so I opted to use the "read to me" option and have been listening to God's word out loud each day for the entire year. I am actually on track with this goal because I have tagged it with a few other habits I have been developing. Grab second cup of coffee and sit down and read the Bible - NOW! Each one of these things has become a habit over the past 10 months but I did not add them all at once. My Bible reading was pretty sporadic until I stacked it onto a well oiled list of other habits. I had lots of changes this year with a son leaving for the Marine Corps, my second started her senior year of high school (and all that comes with that Pandora's Box) and my youngest going into public school. The only one that remained status quo was my middle boy and he has been the anchor in the shifting tides. This was the first time in my life as a mother that I did not have all my chicks in one nest and at least one under my roof consistently. It has been emotionally taxing but I was ready and so were they. We had been preparing for these changes all along. I cannot tell you there were no tears the first few days but I have been adjusting to life at home without the kids during the day. I have had my own schedule and daily routine to revamp in the process. This time it has been about developing a system that allows me to get everything done by 4:00 pm so I can just be the wife and mom when everyone comes back in that front door. My goals have included a cleaner home and meals prepared on time to enjoy them as a family each night. I am spending more time reading for me, blogging and writing more, and working through some deep cleaning projects and such. I have more I want to add as I get a more habits under my belt. I will add more crochet and sewing time to work on things I have been putting off for years. In all of this I have been putting small habits into my day a little at a time and then building upon those habits with more habits. 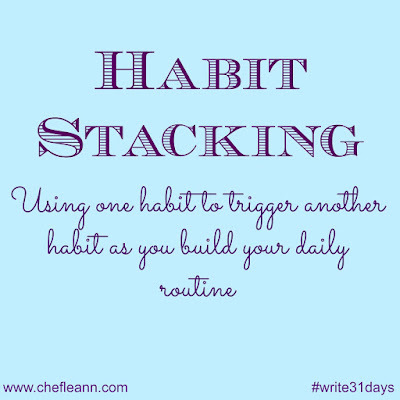 I love this concept of Habit Stacking! The basic definition of habit stacking is to take a habit that already exists, like brushing your teeth, and adding a second habit that is triggered by the first. For me, brushing my teeth triggers me to take my nightly medications before bed. In the morning that looks like... start laundry, clear dishes, READ MY BIBLE! This is a great video I found on the subject to share more about this concept. I am also linking you to some great blogs on the topic. I love that I don't always have to be the expert but I can still share good information with you from other people who ARE the experts. I am still learning, too... EVERY SINGLE DAY! My next added habit to my mornings will be walk out the door for a short walk each day. I will stack it with one of the other habits there but I am not sure where, yet. It is a process, right? 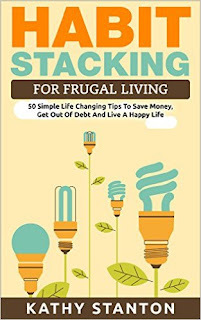 This is a very inexpensive book on Habit Stacking for less than $3.00 at Amazon.com. If you have Kindle Unlimited or Prime you can read it for FREE! Click on the book to check it out.... and no, it is not connected to any affiliate link for me. 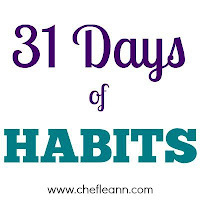 Do you have habits you want to add? 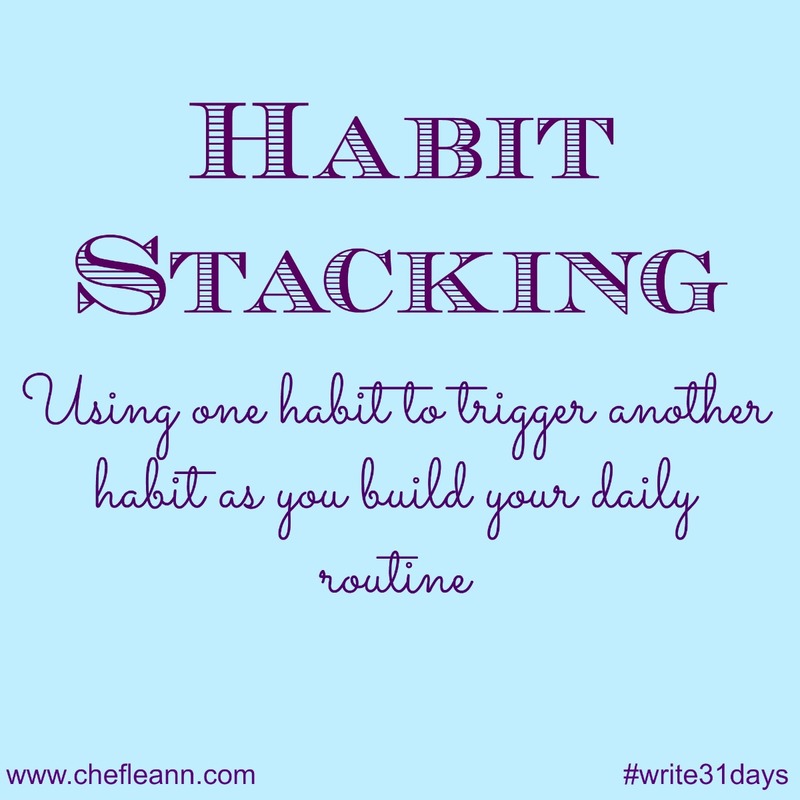 Do you have existing habits you could stack those on top of? Does this sound like information you could use? If you do try this please let us know how it works for you by commenting or blogging about it yourself.